If you’re searching for an appropriate iTunes Backup location in your computer’s file system, then you’d be glad to know that they are easy to discover even though they’re hidden a bit. Whether you use Windows or Mac OS X, the backup process of iPhone is the same; the iPhone media, files and identifier details are backed up by iTunes to a specific directory on the PC, which is then used by iTunes in the future for restoring and syncing iPhone. We’ll tell you suitable directories for iTunes Backup location on Windows and Mac OS X… but don’t mess with the iPhone backup files unless you’re sure of what you’re going to do. The backup directory will show a name that is kind of gibberish and is hexadecimal, but don’t change any names; otherwise they could fail in iTunes. 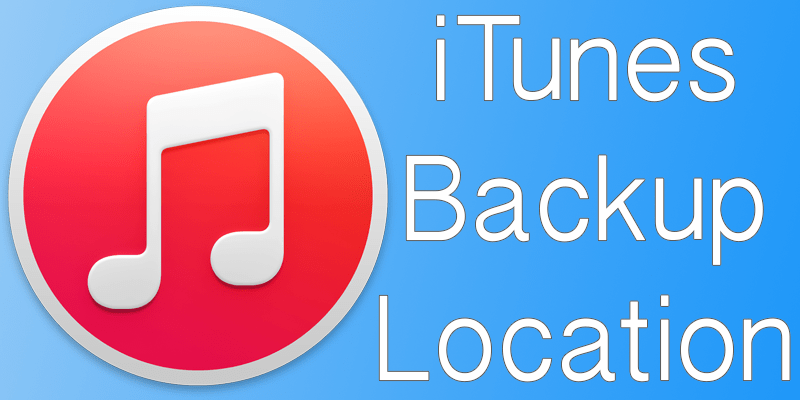 Each version of Windows OS store iDevice backups in different locations, and the iTunes version doesn’t matter. Of course, if C: isn’t the main drive, changes need to be made. The same is the case for “user”. the login username in Windows should be replaced. Windows users note: The directories (AppData) and (Application Data) as well as their contents, including iTunes backups) are “hidden”, so click “show hidden files” in the Windows Explorer to see them. The symbol (~) symbol points to the home directory, the location which also stores your other documents. Hit the keyboard shortcut Command+Shift+G and place that directory path in the screen for Go To Folder to get into the home directory. 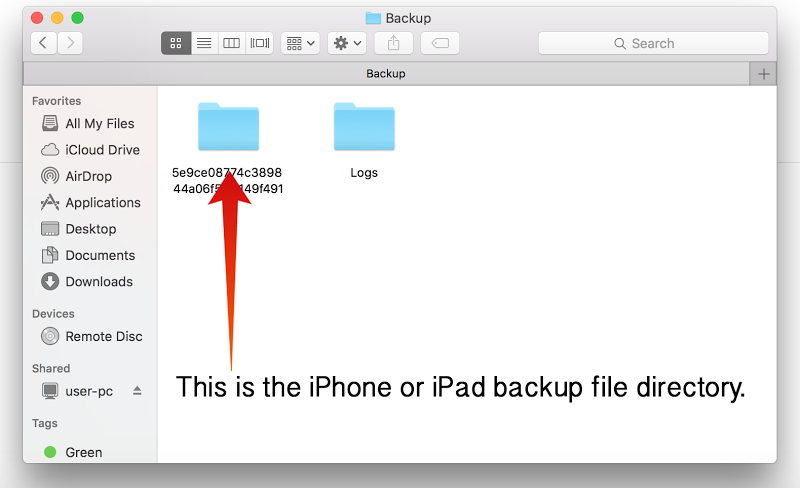 Knowing the iPhone backup location is useful if you want to keep your own backup copies. 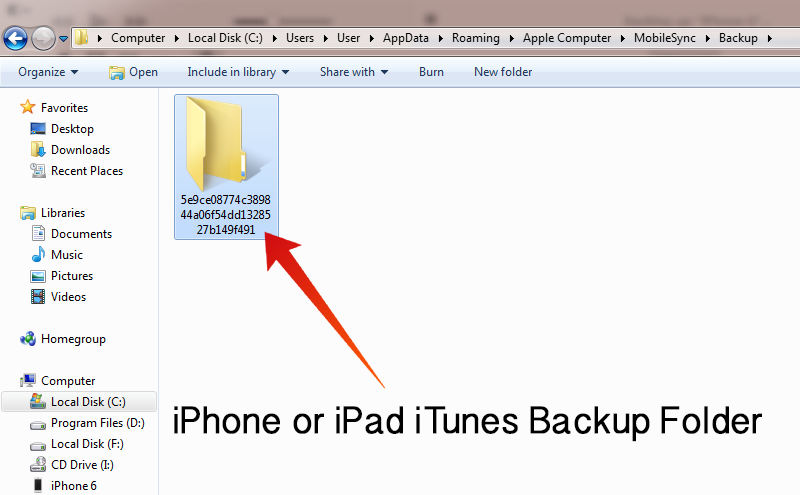 The folder can be copied to make backup of the backups. All files in the directory will have unusual random or hexadecimal names such as “5e9ce08774c389114a06f54dd1328527b149f491”. These are generated automatically. There are multiple backup directories for multiple handsets and each has unique files. The XML files inside the directory includes the unique identifier information. Don’t modify anything if you want to keep the backup safe. Deleting or editing them could result in unreliable or malfunctioned backups, and also cause issues for the iPhone. Take these tips and warnings to heart, and you’d be able to make good iTunes backups in proper locations.